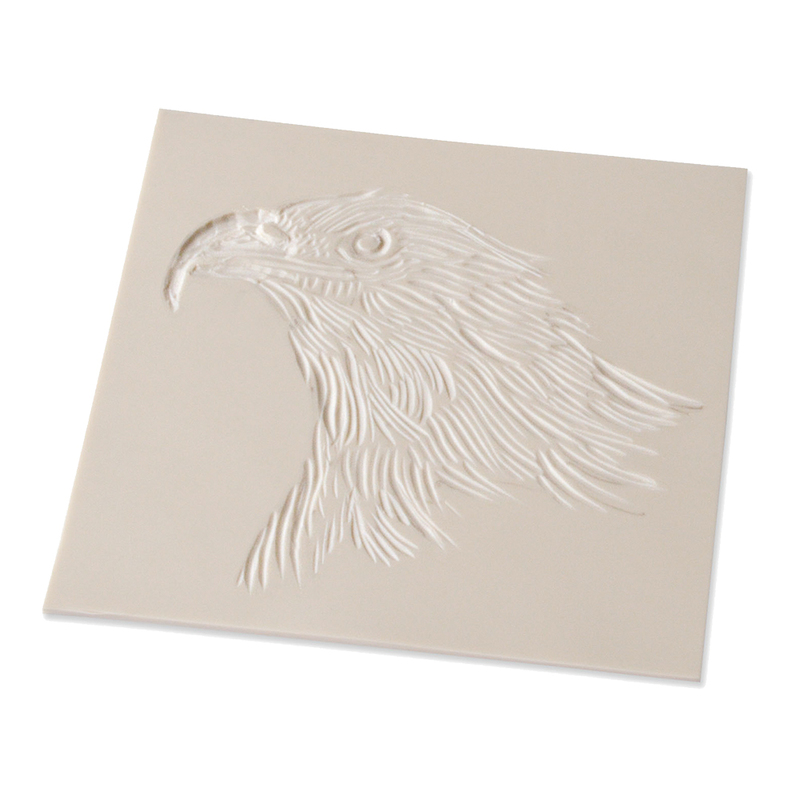 Create your own works of art and experiment with artisan printing techniques with this high-tech carving material. 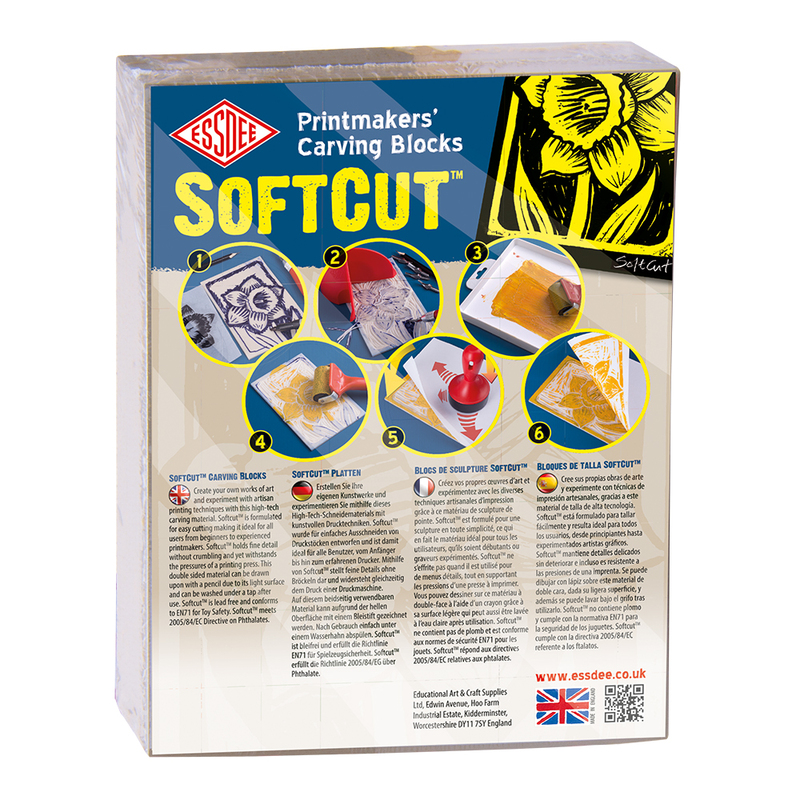 SoftCut is formulated for easy cutting making it ideal for all users from beginners to experienced printmakers. SoftCut hold fine detail without crumbling and yet withstands the pressures of a printing press. This double sided material can be drawn upon with a pencil due to its light surface and can be washed under a tap after use. 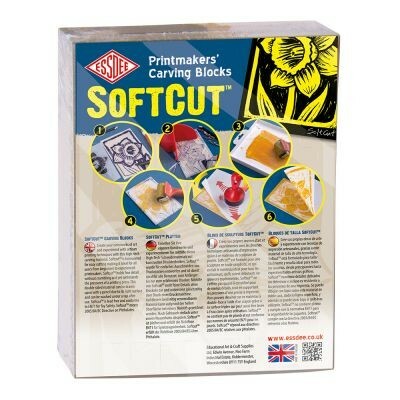 This pack contains 10 SoftCut Blocks in a 200mm x 150mm size. Each block is approximately 3mm deep.